White rhinoceros (Ceratotherium simum) grazing. The white rhinoceros inhabits the grasslands and savannas of central and southern Africa. 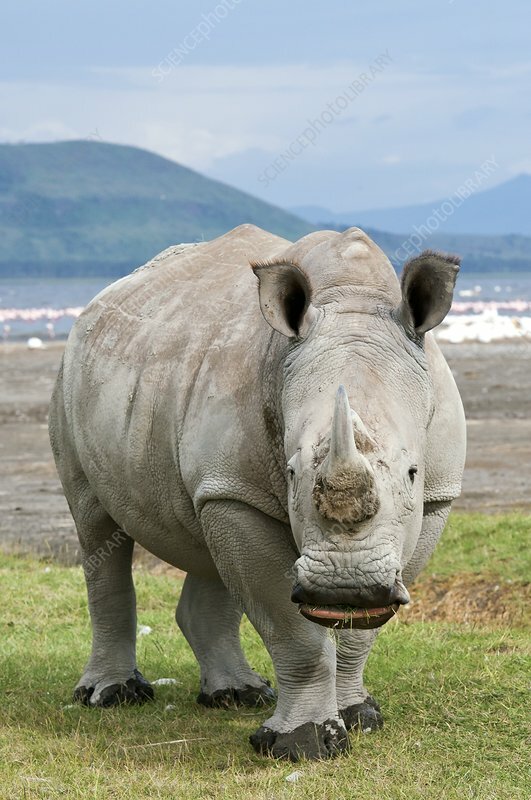 It is distinguished from the Black rhinoceros by its wide, square-shaped lips and larger build. Photographed in Lake Nakuru National Park, Kenya.